Starting with Veeam U4 and assuming you are logging in with either v=latest or v=v1_4 there are some modifications you will need to make for editing cloud tenants. Last week was pretty frustrating, debugging and discovering an issue / new "feature" with JSON support which broke some things. 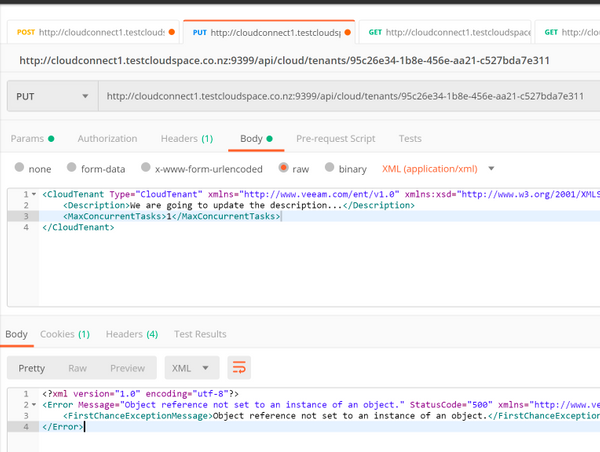 After resolving those I was still seeing having an issue with CloudTenant editing. 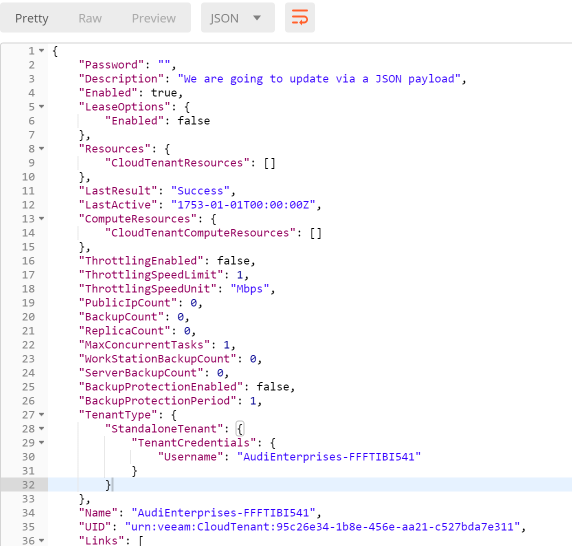 While testing our integration library and immediately running into issues I discovered some weirdness if the json accept header was specified (anywhere) that some requests failed it got me thinking. What if they now supported json, wouldn't that be nice! No more clunky XML to deal with. 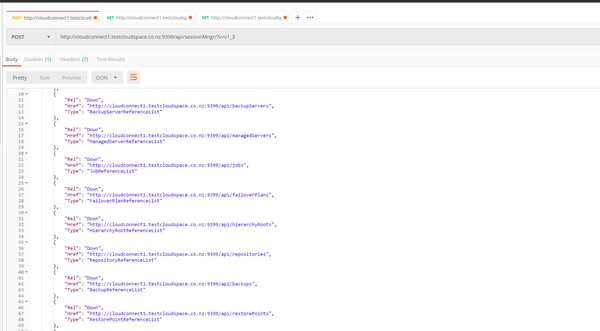 Fired up some debugging and realised that most of the GET requests looked ok, but any of the POST and PUT requests started throwing HTTP 400 Bad Request Errors.